Automotive News Europe honors the winners of the 2016 Rising Stars awards. Every day through June 6 one of the 15 winners will be featured. 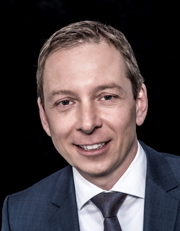 The Rising Star for General Management is Martin Fischer, who is vice president and general manager Europe and South America at BorgWarner Turbo Systems. For his full profile click here.